Border has 8 years of experience in de-greasing or 'washing' equipment technology, and has worked with many different types of plant, from small batch washers, to fully enclosed systems, tunnel washers, rotary washers and dip plant. Through extensive servicing, our experience spans many brands of wash plant, such as Durr, Valiant Elan, Marr (Guyson), MecWash, Vixen and Sturtevant. 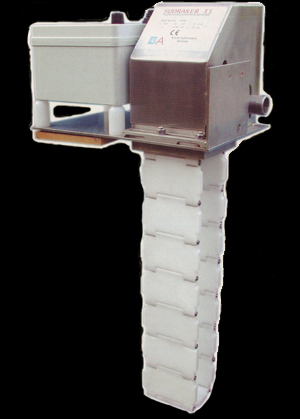 Although Border set out to work primarily with washing equipment, a large over-lap in disciplines has led to a greater involvement with associated machinery and ancillary equipment such as conveyors, component handling devices, filling and weighing stations, filtration systems and plating plant. Through working closely with third parties, we can offer a full and varied service, from initial concept design and manufacture through to on-site commissioning and servicing. If you are in doubt as to whether Border can provide the services you are looking for, please call us, for a no obligation consultation; we will do our utmost to offer assistance, and if we can't help you, we will probably know someone who can!